Jesus came “to proclaim freedom for the captives and release from darkness for the prisoners.” We read in the Gospels of His message and ministry, meant to bring His followers deliverance. He came to rescue us from ourselves, from our lives of narcissism, sin, and self-destruction. For thousands of years, He has set at liberty any who would place their hope and trust in Him. Does that describe your experience? For a long time, it didn’t describe mine. Looking back, I think I wanted to know the truth and experience the freedom Jesus promised it would bring. But freedom to what? And for what? God’s purposes, or my own? Honestly, the posture of personal, autonomous freedom seemed to suit me more than the obedient Christian one. But Jesus didn’t die to give me a life of my choosing. The life He wants for us is much better than that. I learned the hard way through years of failure, freedom in Christ does not mean freedom to live as I want, but freedom to live my life surrendered to Him. 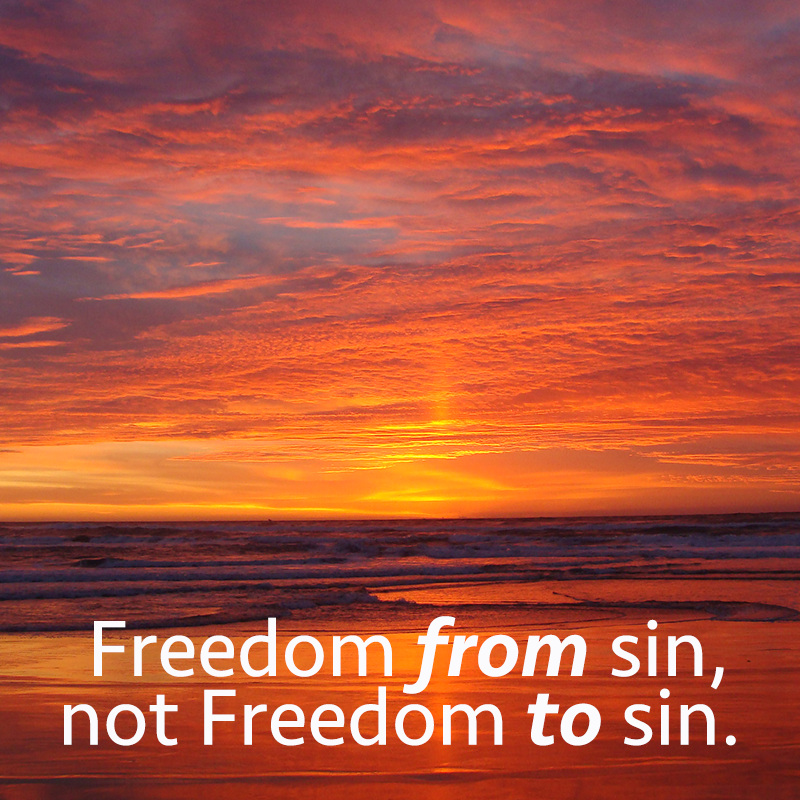 Experiencing true Christian freedom is not a mix and match business. Selfishness brings slavery. Surrender brings freedom. (Ironic, I know.) And the more we surrender to God, the freer we become. As Jesus said, “If you hold to my teaching, you are really my disciples. Then you will know the truth, and the truth will make you free.” (John 8:31-32) Freedom in Christ means living in a vibrant, passionate, obedient relationship with Him. Obedience to Jesus is the condition of freedom, and the entrance ramp to a life of blessing beyond our understanding, for both you and everyone you are privileged to be used by Him to influence. Paul said, “For you were called to freedom, brothers. Only do not use your freedom as an opportunity for the flesh, but through love serve one another.” (Gal. 5:13) When we devote ourselves to the Lord, to a commitment to His word, prayer, and obedience to His leadership, we experience a truly free life… a result that is better than we can choose for ourselves. Charles Kingsley said, “There are two freedoms—the false, where a man is free to do what he likes; the true, where a man is free to do what he ought.” Please take the advice of one who has tried: Don’t try and follow Jesus out of convenience, or a desire for a life of your choosing. The life we follow Christ to is far better, truly freer, and accomplishes the glory of God. And that’s what we’re here for! Ben HullI is passionate about loving God, loving people, and leading others to do the same. He and his wife Leslie have 4 children and have been members of the River since 2016. He is a church planting resident here at The River. You can contact him at bhull@therivercc.com.